The ideal daily moisturizer with sun protection that is broad spectrum and carries an SPF 30, the currently higher standard of recommended sun care from the old SPF 15. Made with moisturizing fatty alcohols, without any drying alcohols in the formula, and the powerful emollient effect of glycerin, this product will leave your skin feeling smoother and softer to touch. 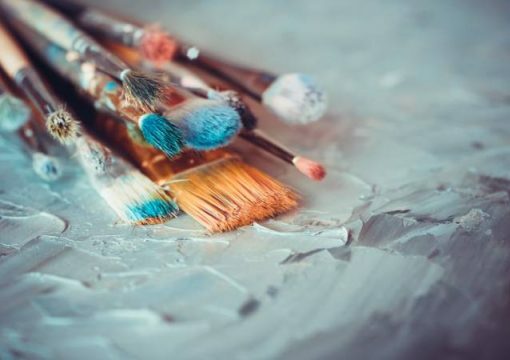 Dermaxsol can serve as a primer for your makeup. Allow product to absorb completely into your skin and leave your skin surface dry before applying your makeup. It is also fragrance-free so you won’t have to worry about unnecessarily irritating your skin. Made from close to 99 per cent Hadasei-3, a proprietary ingredient formulated from three Japanese superfoods that includes green tea, rice and algae, promises to restore your skin’s health and help facilitate the natural healing and rejuvenating mechanism of your skin. It hyper hydrates your skin for long periods, allowing more of your other products’ beneficial ingredients to penetrate your skin more deeply and easily. 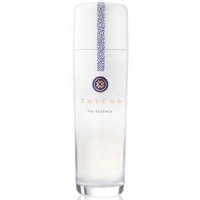 Tatcha The Essence Plumping Skin Softener, however, will requires a separate sunscreen to provide you sufficient sun protection. Formulated with retinol (2.5%), this product is intended as a boost to your regular routine, and not recommended to be used daily. 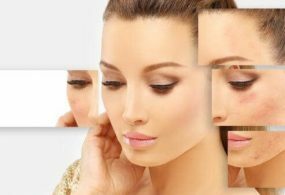 It helps facilitate faster skin cell turnover as retinol enhances collagen production. This product is also infused with protective antioxidants, emollients and humectants. 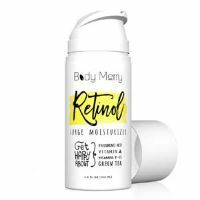 Unfortunately, because of the retinol content, Body Merry Retinol Surge Moisturizer is not fit for daytime use. Made with non-nano, uncoated Zinc Oxide (18.75%), this product provides UVA/UVB protection that is also formulated to give you 40 minutes of water-resistant sun protection. With a blend of moisturizers and antioxidants, led by Vitamin E, in the formula, Badger Balm Lavender Sunscreen Cream can also function as your daytime moisturizer on any given day. 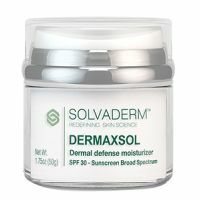 Made with Hexinol and SPF 30, this moisturizer is lightweight, non-greasy, and provides an ideal base for your makeup. 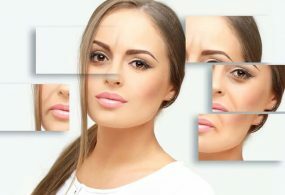 It fights 5 signs of skin aging, that includes hyper pigmentation, sagginess, dryness, dullness and wrinkling. 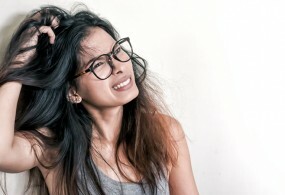 Unfortunately, this product also carries some of the most damaging ingredients such as fragrances and butylene glycol. 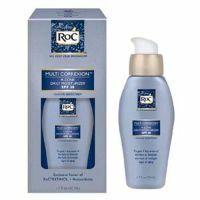 ROC Multi Correxion 5 in 1 Moisturizer includes retinol in the formula which is unnecessary because retinol breaks down when hit by sunlight. With Zinc Oxide and Titanium Dioxide providing broad spectrum sun protection, bio-peptide complex, and tint, this product functions as a sunscreen, makeup and an anti-aging moisturizer rolled into one. 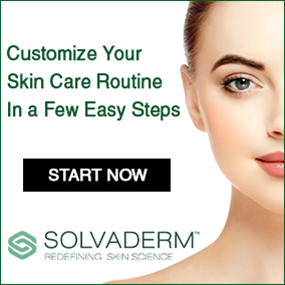 This product commits to provide your skin relief from dryness, dullness, blemishes, saggy skin, and other signs of skin irritation. Unfortunately, Dr. Jart+Premium Beauty Balm SPF 45 contains irritating drying alcohols and butylene glycol. If you care about staying away from parabens, this product uses if as preservative. 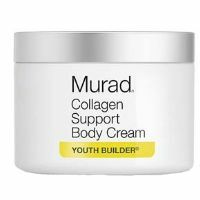 Murad Collagen Support Body Cream product provides your skin with deep moisturizing action that easily raises moisture in your skin up to three times. This allows your skin to release moisture continuously for up to 24 hours. 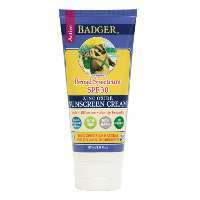 Unfortunately, you will need a separate sunscreen to use this during the day. Never take your sunscreen for granted. Take the time to get to know exactly what kind of sun protection you are giving your skin. While you can’t surrender the fate of your skin to your sunscreen, it should remain to be a key component of your sun protection strategy this 2017.